Today would have been Billy Graham’s 100th birthday, and Franklin Graham will spend part of the special day visiting with Billy Graham Library guests and signing the tribute book he wrote to honor his late father. 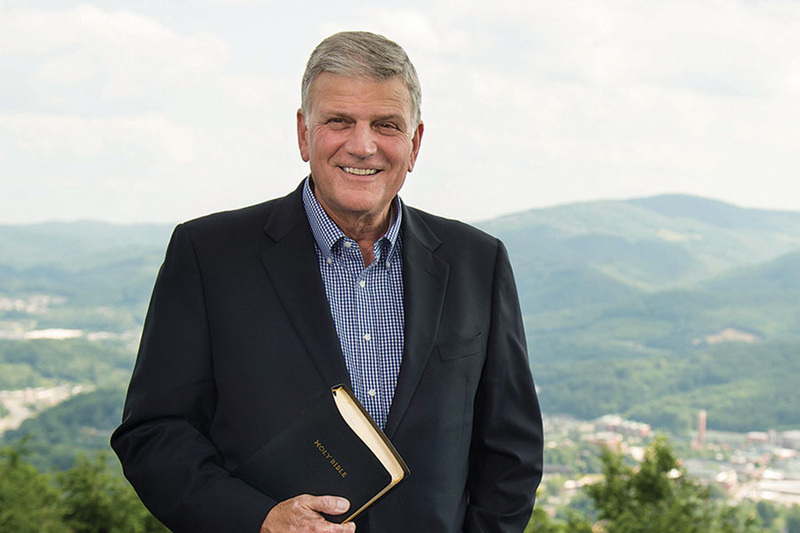 From 2-3:30 p.m., Franklin Graham will sign copies of Through My Father’s Eyes at the Library. Books are available for purchase at Ruth’s Attic bookstore, which is located just inside the Library. It is free to attend this event, and pre-registration is not required. 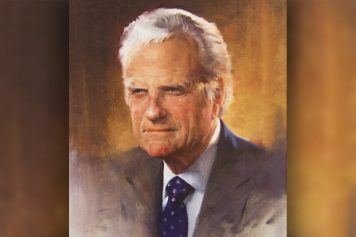 The cover of Franklin Graham’s new book features a portrait of Billy Graham by American artist John Howard Sanden. Franklin Graham, president and CEO of the Billy Graham Evangelistic Association, includes never-before-shared photos and family stories, as well as strong Scriptural teaching, in this book that was released in May. The abundance of personal memories, anecdotes and lessons all point to the impact a godly father can have. “The lessons I have learned through my father’s eyes have anchored me and made me realize that what he taught me was what he also learned through his Father’s eyes from heaven,” Franklin Graham said. 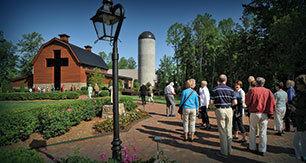 >> Visit Billy Graham’s memorial page. Franklin Graham spent 12 years working on this book and completed it prior to his father’s passing on Feb. 21. The fourth of Billy and Ruth Graham’s five children, Franklin saw his father every Sunday that he was home during the last two decades, and that included the Sunday before Mr. Graham passed. Franklin includes personal moments from that final visit and the funeral in the afterword of the book. Would you like that same hope? Find peace with God today.